Our new Deputy Online Editor, Arianna, shares her favorite tips to celebrate the last few hours of 2014. Whether you enjoy watching the ball drop from your couch or throwing a party with your friends, you’ll be sure to find a fantastic way to bring in the new year! New Year’s Eve is typically celebrated with bubbly bottles of champagne, but why not jazz up your celebration by mixing up a new champagne concoction? Pick up some bitters to make a classic champagne cocktail, or if you have more of a sweet tooth, serve it up with some of your favorite fruity sorbets. If you’re having more than a few guests over for New Year’s Eve, try putting together a champagne bar. 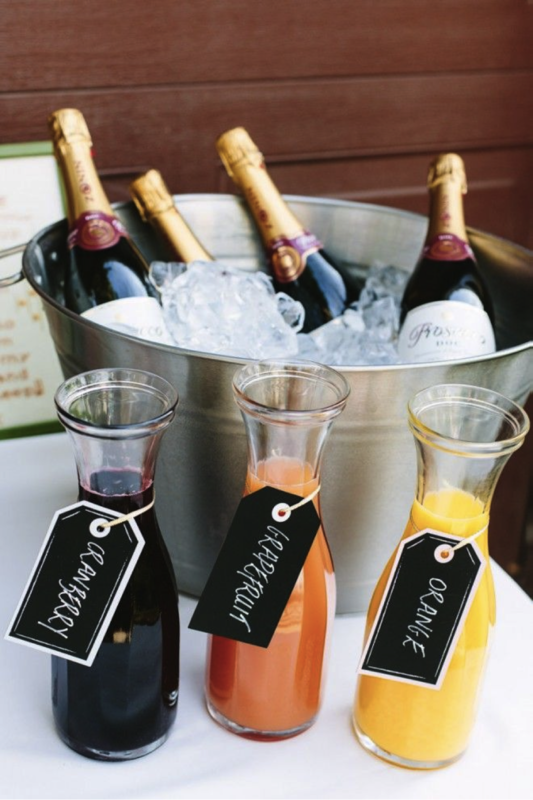 Though a stocked cocktail bar may sound daunting to manage, but if you have three variations on plain old champagne and a selection of fun flavored syrup or fruit purée, your guests can assemble their own drinks! A ton of champagne cocktail variations can be found compiled here. Write out notecards with simple directions for each drink and place it alongside its special ingredient. You can even use these pre-made card templates to help. If you need some help with how much champagne you should pick up, consult this handy guide. If you want to mix it up, maybe add in a non-champagne option and serve up a mulled cider cocktail. As for the food, a favorite way to do a New Year’s Eve party is to choose your favorite mini-bites and serve your friends plenty of appetizers to complement their drinks. With no formal sit-down meal, you can create a fun and festive night. By preparing most of the food in advance, you will be able to enjoy the party and spend time with all your guests. Have a few appetizers made in advance and ready in the fridge, some appetizers that require minimal preparation on your part, and other appetizers you can throw together in a moment’s notice. One fancy appetizer to wow your guests is a nice feature, but the rest of the food can be super easy. Above all, never underestimate the power of emergency chips and salsa. Some of my favorites to make a few days in advance are sweet-and-salty candied nuts (these have just a hint of spice to get you hooked), and a dip you can make and keep fresh for days. In addition, it doesn’t get easier (or more delicious) than chocolate dipped potato chips. Also, make sure to prep any extra sauces or toppings way in advance so you aren’t scrambling around a few hours before guests arrive. At the last minute, grill up some bread for crostinis, throw any hot appetizers in the oven and assemble the more complex appetizers. Don’t forget dessert! Try pre-baking a batch of your favorite Christmas cookies in a smaller size to keep with the theme. 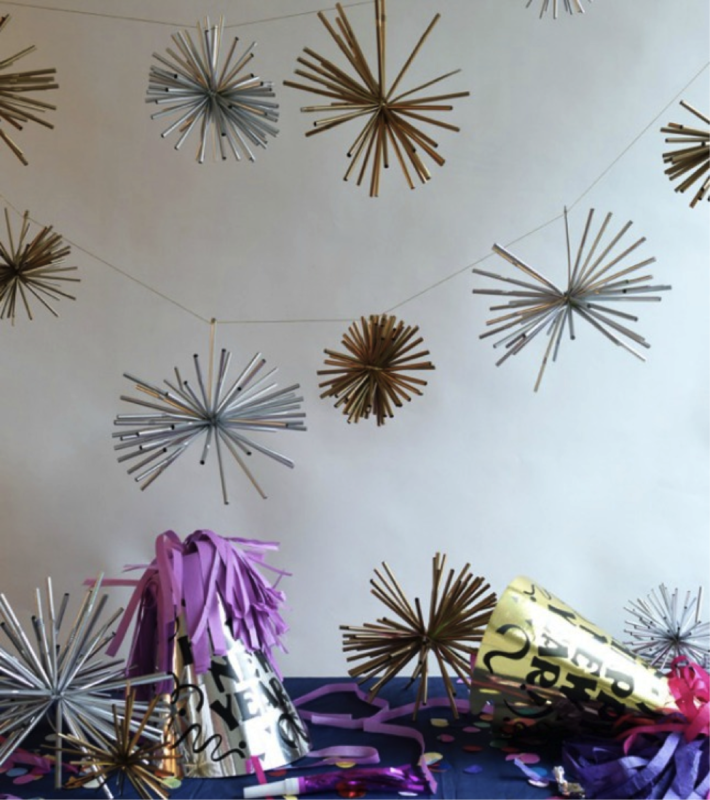 To keep everyone entertained before the clock strikes midnight, provide props and balloons and set aside a corner of the room for a New Year’s Eve photo booth. Your friends will thank you later for setting the stage to show off their awesome sparkly outfits. No matter how you spend your New Year’s Eve, make sure it’s filled with fun, friends, and delicious food. 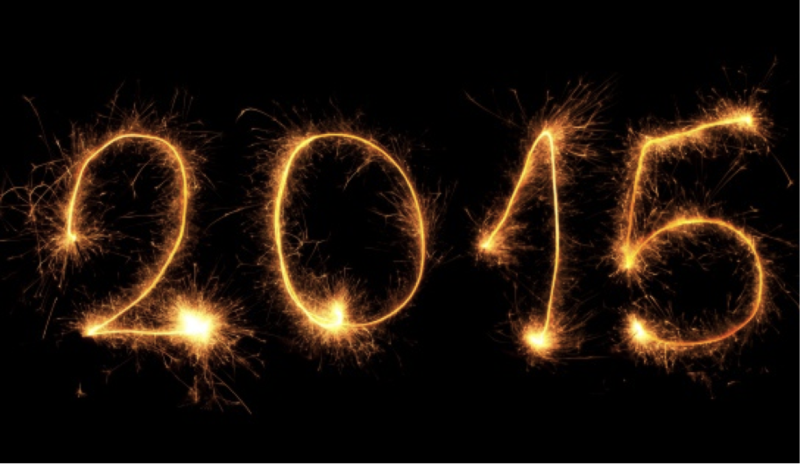 From everyone here at Culinarian, have a wonderful New Year’s Eve and a fantastic 2015. Tags: appetizers, Arianna Winchester, cocktails, culinarian, New Year's Eve, Online Issues. Bookmark the permalink. Previous post ← Cheers for holiday traditions!